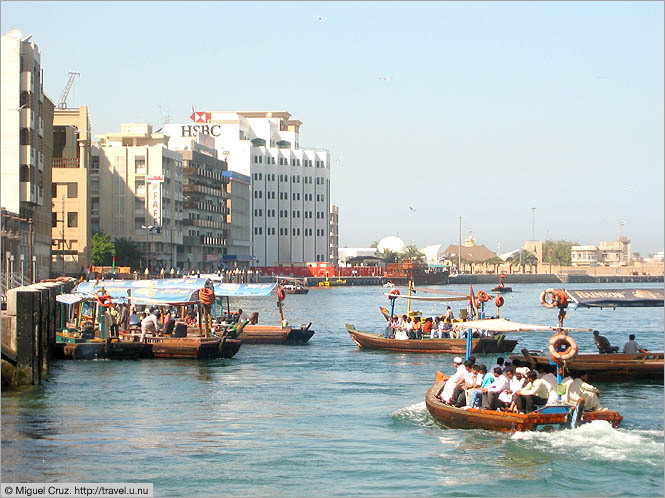 "Abra" is the name for the small boats that ferry passengers back and forth across the Creek, as the river bisecting the city of Dubai is called. The trip costs just a few pennies and it's really the quintessential Dubai experience. If you ask me, anyone who hasn't ridden the public abra across the Creek has no claim to having visited the city.